Searching thousands of apartment listings to find the best Paris properties takes experience. 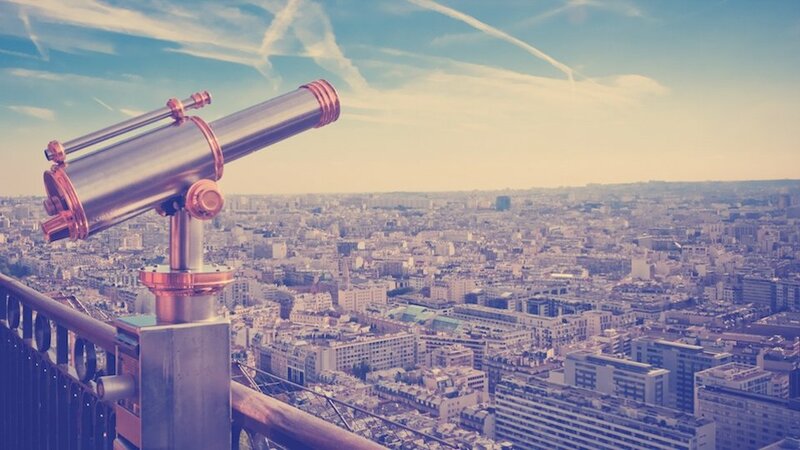 Knowledgeable and detail oriented, we'll find the hidden gems of the Paris real estate market for you! When looking for an apartment in the City of Light, it’s all about location, location, location! As you begin the search for your Paris pied-à-terre, you will want to focus on neighborhoods and buildings that offer the right balance of charm, amenities and value. With decades of experience – we have personally located and supervised the purchase and remodeling of over 40 fabulous apartments in Paris – we have the knowledge and expertise to help you navigate the exciting, yet challenging and complicated process of buying an apartment. My husband Philippe is the best at understanding a client’s needs and finding the perfect apartment – he never compromises on the most important points – and his radar never steers him wrong. When he views that ideal apartment, there is no hesitation at all and he moves straight on to Negotiation Mode. But if there is something wrong, he turns it down and leaves quicker than you can say Jack Sprat. He is so sure that he has told clients if they didn’t submit an offer on the spot, then he’d do it himself. We also offer services that go beyond the standard real estate agent offerings. In addition to our search services, we will help you successfully navigate the purchase process; advise you on remodeling and returns on investment; introduce you to trusted and honest builders and architects we have used over the years; help you evaluate rental viability and income via our successful Paris Perfect rental program; and we’ll help you understand the potential resale value and capital appreciation of your investment. Philippe and I have spent time in every arrondissement and neighborhood of Paris, understanding their rhythms and personalities. We walk in these neighborhoods, shop in them, have coffee in them….we get to know the buildings, stores, markets, side streets and even concierges. And we continually visit these neighborhoods to see what has changed, what’s emerging, what’s being built or renovated and how real estate values are faring. By knowing an arrondissement really well, we can instantly judge whether an apartment is worth looking at or buying the moment we see an ad or talk to an agent. This allows us to move quickly on a sale and submit an offer before other agents. For example, we recently heard about an apartment in an arrondissement and building we knew well, and which we knew would be perfect for our client. We immediately called the agent and were able to view the apartment with our buyer half an hour before official visits started. The apartment was well priced and perfect for our client’s family; we recommended putting in an immediate offer at full asking price. We prepared the offer at our nearby office and bicycled the offer over to the agent; the seller accepted the offer on the spot – right before two other full price bids were submitted. As mentioned, there is no Multiple Listing Service (MLS) in France, and there are over 3,600 real estate agencies in Paris alone -- and they do not share listings! Even branches of the same Real Estate Agency don’t share listings with their colleagues! This means you have to be on top of the search every day, every hour and even every minute. Unless you live in Paris fulltime and speak French, it will be extremely difficult to find the best apartment for you and your budget. At Paris Perfect Search Services, we regularly visit dozens of real estate agencies to check their listings. We then visit apartments for you, check out buildings and even speak with concierges. We tell our clients that it may take months for us to find something special for them, but if they hear us shout: “We’ve found something; here are the pictures of the apartment and building; please get over here now!” then they know it’s got that unique combination of view, location and features … and it won’t last long! We often locate a buyer’s apartment before they can come to Paris. If we tell you to jump on it … then be prepared to put in an offer immediately and if necessary, fly over immediately to view it. There are many unique rules in France for purchasing property. We have extensive knowledge of every aspect of the purchase process and will give you peace of mind by ensuring all bases are covered. This includes avoiding hidden problems, like checking the building regulations to find out if there are any rental regulations. For example, friends who live in Paris and speak fluent French recently bought a beautiful apartment in Paris. They are a busy couple and didn’t have time to get into the nitty gritty of the paperwork. We would have happily taken a look at the rules and tests – but it didn’t occur to them there could be a problem. After spending a fortune to renovate, they asked us to rent and manage the apartment for them. But after reading the building rules we discovered that short-term rentals are forbidden. There is little possibility to change the rules and the only advice we can offer is to sell and look for another. It isn’t pleasant to hear, but if they’d taken the time to read the rules or have an expert read them, they would save themselves a lot of hassle and money. Once you’ve found the right apartment, we help you manage the purchase process with the all-important Notaire. The Notaire is not the same as a notary public in the U.S. The Notaire in France is a highly respected position as the public official who prepares the title deeds relating to the sale and purchase of land. Among other obligations, Notaire must attest on public record that the deed has been signed in his or her presence and understood by the parties involved. Our Notaire has represented owners and ourselves for decades. He is smart, efficient and looks after our buyers’ interests to the smallest detail. We are happy to put our clients in touch with him. We had a friend who spent a year in Paris and didn’t feel he needed any assistance to find and purchase an apartment. Not a problem; when you know a neighborhood, you can identify the qualities you want and hopefully find them quickly. But then he started to email basic questions about ownership structure, how his wife could be a part owner if she wasn’t in Paris for the final signature and other, etc. We were surprised, as most of these questions are easily answered by a good Notaire. We recommended he consult our trusted advisor, but he had his own and was "very happy with him." More questions arose about structure, and the purchaser confused the legality of rentals with the holding structure. We recommended he consult a good tax advisor and we even introduced him to one. Our advisor offered a consultation to answer his many questions and to form the right structure – but the buyer said he didn’t need the service. In the end, he may get it 100% right, but the potential costs of making mistakes would be many more times the value of professional and trusted services. Philippe and I have remodeled over 40 apartments in Paris, so we understand the why’s and how’s of remodeling, including specific costs and return on investment. We will introduce you to trusted architects, interior designers and builders. We will also help you understand the trade-offs for your remodeling investment. For instance, we had a client who was looking at two apartments: a gorgeous one bedroom in the 7th arrondissement for €850,000 + remodel cost of €125,000 = €975,000, and a larger, two bedroom in the 10th arrondissement for €800,000 + remodel cost of €200,000 = €1,000,000. Almost the same investment, we looked at the tradeoff in terms of resale value: we told him if you never plan to sell your apartment and love the 10th arrondissement, then go for it. However, if you may sell one day, the story is the same in any city in the world – location, location, location! The apartment in the 7th was a much better long-term investment. With our vast experience and success in the rental market with Paris Perfect rentals, we can expertly advise you as to real rental viability and income for your apartment. Many search agencies can only give you hypotheticals; we give you numbers you can count on. With our intimate knowledge of Paris, we can help you find that perfect slice of heaven that also takes into account investment returns and resale possibilities. Over the years, Philippe and I have sold a dozen apartments for our owners, most of whom found a larger one they wanted to purchase. We are proud to say all the apartments we sold went quickly – within hours or days – and for a premium over the average market price. Many were sold to knowledgeable French buyers who realized how special each property was and who saw a safe long-term investment. I recently viewed an apartment with a client that had almost everything: two balconies, spacious one bedroom, Eiffel view, upper floor and great potential after a remodel. But … the apartment was located in a 1940s building, which lacked charm, and was located on a drab street surrounded by other large apartments and office buildings. No trees, no petits commerces or shops to liven up the area. I checked the building management fees (something eager buyers forget) and they were on the high side, about €500/ month. This may be low for a city like New York, but high for Paris. I walked back in the evening, waited 24 hours and still didn’t like the feel of the street. While it might have rented well, we want our clients to have apartments that offer good capital appreciation and resale potential as well. This one failed on those two counts. Shortly afterwards, we found a beautiful apartment with a balcony in a gorgeous location that hit all the requirements. In addition to the many services we provide our clients in their search and purchase of that perfect Paris, we can introduce you to recommended and trusted resources such as mortgage experts, decorating experts, legal and tax experts, and Paris builders. Recently, an owner bought a beautiful apartment and, in the usual practice, requested estimates from two different builders for the remodel. Instead of choosing our trusted builder, she chose the least expensive company and while overall the other builders did a good job, they didn’t have experience remodeling in small spaces and no one checked where the builder planned to locate the water heater and access points. Most of us are used to living in large apartments or homes and don’t realize the complexity of designing into small spaces. The water heater broke down almost immediately and since we were managing the apartment, we sent in our maintenance team to investigate. Unfortunately, the builder had walled in the water heater behind the toilet – with no access point! Not even the main water tap was accessible. The costs to repair were very considerable. Yet another owner had a builder advise them to quietly install air conditioning without building permission or knowledge of the other building co-owners. When summer came and the air conditioning condenser dripped onto the concierge’s bedroom window, the game was up and the owner was sued. What Does Our Property Search Service Cost? An initial phone or personal consultation for about an hour is completely free. For each additional consultation, the cost is €350 per hour, which is fully deductible from the search fee. We will begin the consultation by phone or in person, and work with you to define your search criteria in terms of budget, family needs, investment goals, etc. The engagement fee is €1,500, applied toward the search fees below. Once engaged, we start the search based on your desires. We won’t recommend a property unless we would buy it ourselves. In a similar vein, if we do not feel we can provide excellent value to a client – i.e., we feel the price is unrealistic, goals cannot be met – we tell buyers at once. It is important that our buyers know the project can take months and, in a few cases, even years. We do not waste time presenting sub-standard apartments and we will happily show you what we’ve seen and why we’ve turned it down. For property searches over €600,000, the cost is 3% of the purchase price. We usually manage to save the buyer much more than this in a) negotiating the price, b) finding an under-priced jewel before it reaches the market, and in c) helping buyers avoid expensive problems. There is a fixed search cost of €18,000 for properties that cost less than €600,000, plus the €1,500 engagement fee. You’ve just read about Our Property Search Services. For additional information, continue reading the series by clicking the links below. If you would more information about our services, please get in touch. We would be pleased to answer your questions and help you find that perfect property that meets all your needs.